If you have been involved in a car accident and felt your actions were not the cause, you have the beginnings of a solid personal injury case. A financial settlement can often be gained to help cover the costs of medical bills, lost work wages, and other expenses associated with an accident. 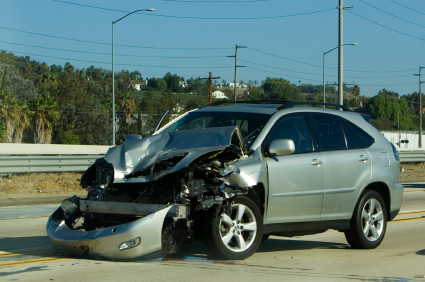 Before you file a lawsuit, it is best to understand the process and how a car accident attorney can help you. Immediately after being involved in a car accident, you should seek medical attention to confirm no serious injuries were sustained. The condition of your health may become the main foundation of your personal injury case, so keep all medical records and police reports. You should also make accurate records about your lost wages and missed time from work. Once you have been given a clean bill of health, it is important to begin the process of gathering all of the car accident evidence. Your attorney will need this information to support your actions in any possible court case. The type of evidence that would be beneficial to your defense includes a copy of the official police report and the other party’s personal information. You should also gather statements from witnesses and any crash scene pictures. Try to take pictures of all the vehicles that were involved in the crash. Photographs of the road conditions will provide assistance in determining if weather played a factor in the car accident. If any injuries sustained are visible to the human eye, you can take photos and use them as evidence in your personal injury lawsuit. The next step is to contact a personal injury attorney to review all of the evidence you have gathered. Their knowledge and experience will provide tremendous insight into whether or not you have a winnable lawsuit. Often, they will make suggestions that could make your case stronger or even help you gather more evidence. It would be a mistake to defend your own personal injury case, because there are so many quality attorneys available. Try to hire one that has success in going against large insurance companies or one that handles cases like yours every day. Once you have secured the services of a car accident attorney, you can begin the process of negotiating a financial settlement. Many personal injury cases never reach a courtroom because the attorneys often come together to negotiate a satisfied agreement for all. Other attorneys will wait to begin negotiating a settlement agreement until their client has concluded medical treatments for the injuries. If an agreement is nowhere in sight, then your lawyer will recommend filing the paperwork for a personal injury lawsuit. When the art of negotiating fails to gain an acceptable agreement, it is best to file a personal injury lawsuit. Both attorneys should handle all aspects of the case from this point forward. You will have to remember that patience is key once the lawsuit begins, especially because the statute of limitations varies from state to state. It make take upwards of one month or even years before your case is actually heard by a judge. Some legal experts call pre-trial litigation “the discovery portion” of a personal injury case. This process allows an attorney to investigate all legal claims that could become the main source of their defense. Often, pre-litigation will require constant correspondence between both attorneys’ staff. Each will request documents that will answer questions pertinent to their case. Depositions will be required to get each witnesses’ account of the accident on record as well. Sometimes, one side will request mediation or settlement negotiations at some point during the pre-trial process. If an agreement cannot be gained, then a date will be set for your personal injury lawsuit to begin. When it’s clearly obvious that mediation or negotiation will not gain a resolution, the court system is needed to determine the outcome of a dispute. Depending on a number of factors, your trial date could be several months to years away. The trial format will offer a verdict, but the outcome might be less than your original expectations. If you’re unsatisfied with the final results of your personal injury claim, it might be in your best interest to seek an appeal for compensation. Contact Attorney Dean Boyd for more information about getting Help with your personal injury lawsuit after a car wreck. Contact Us via email or call (806) 242-3333 if you would like to learn more about the Services we provide. Visit our office at 4423 SW 45th Ave in Amarillo, Texas or 5012 50th St #103 in Lubbock, Texas to see how we can get you the compensation you deserve.